The following post has been sponsored by Nasoya. All opinions expressed are my own. Nasoya Vegan Dumplings and our Cauliflower Fried Rice are a delicious and easy option for Meatless Mondays! Given that almost forty percent of Americans report trying to fit more plant-based foods into their diet last year, I’m afraid Mr. BBQ’s situation has only worsened. 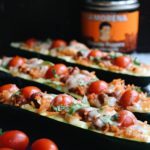 Regardless, every time I prepare something that’s vegetarian, gluten-free, or Keto-friendly, as well as every time I barbeque something meaty on the grill, I end up thinking back to that otherwise mundane article. It’s positively silly. On the other hand, it’s made me think that perhaps his issue wasn’t ‘really’ with those on health-minded diets – as the article infers – but rather with the food that we’ve come to associate with ‘healthy eating.’ While Aristotle remarked that “sweetness is a sign of nutrition,” citing fruit as evidence of his theory, the equation is almost the reverse today. “Health Food” and “Conscientious Eating,” are regarded in almost the same way that pilgrims of bygone eras regarded penance – something to be endured with the promise of future reward. Instead, let me borrow a page (column?) from the aforementioned LA Times article, and phrase it this way – from the perspective of one looking to please guests. It’s spring, you’re having company over to enjoy the rebirth of the outdoors, and to bask in the still ever-so-slightly chilled air, made pleasant by a freshly radiant sun, free of the winter’s grey canopy. From where I’m sitting, the first boats have just been put in the water, water alive with the season’s first flocks of geese, ducks, and swans all vying for the choicest spaces along the river, while the hedges closing in my yard have turned from eerie spider-limbed visages of wintery slumber to bright and lively portents of the summer season yet to come. Now, to complement this ‘in between’ season, I need something light, something fresh tasting, but something that’s easy to pull together, and that can be enjoyed equally by my vegan-minded guest as by my sternly omnivorous daughter. 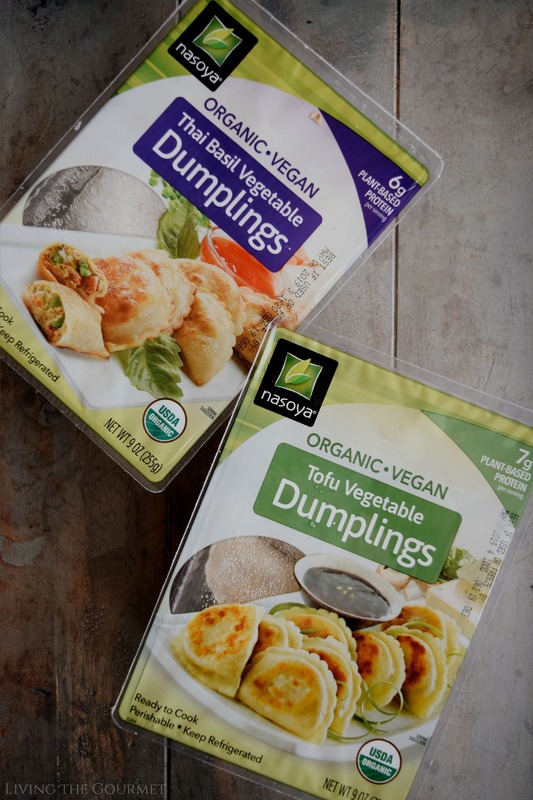 Dumplings fit that bill rather nicely, and thanks to Nasoya products there’s a vegan-friendly alternative that even the pickiest of palates will appreciate. You can locate Nasoya at your local Shoprite or Stop and Shop in the product department. Don’t forget your special coupon at checkout! Just open a pack, prep as directed, and pair with rice and/or a salad, and they make a surprisingly satisfying lunch or light dinner. I find them particularly ideal for a sunny spring afternoon. I paired mine with fried cauliflower rice, and a homemade duck-sauce (I don’t think I’ve ever actually used duck-sauce on duck). 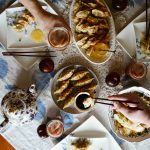 Homemade duck-sauce is blissfully easy to prepare, but the store-bought option will work just fine if you prefer. If however, you would like to make your own, simply whisk together 1/4 cup apricot preserves, 1/4 cup peach preserves, 1/4 cup hoison sauce, and about 2 tablespoons of water just to loosen it up a bit. 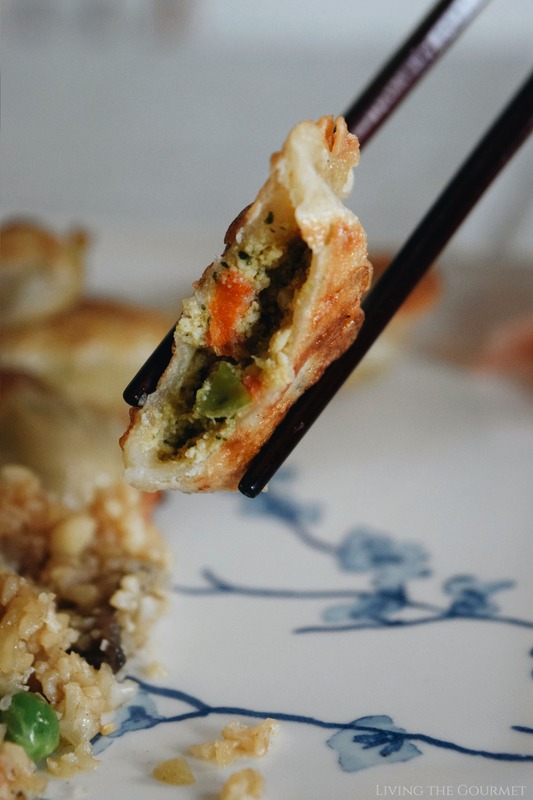 Nasoya Dumplings come in two delicious flavors, Tofu Vegetable and Thai Basil Vegetable. As a bonus, they’re USDA Certified Organic and contain six to seven grams of plant-protein per serving. In the food processor, 'rice' your cauliflower florets. Heat a large frying pan with sesame oil. Sautee the garlic, carrots, mushrooms, peas, and scallions until all the water has cooked out of the mushrooms, about 10 minutes. With a slotted spoon, remove the sauteed vegetables from the pan and discard the broth from the pan. Return the pan to the heat, and cook the riced cauliflower for about 5 minutes, just until it has softened. Add the sauteed vegetables back to the pan, toss in with the cauliflower. Add the sauce to the pan, toss again until well-incorporated. Transfer the rice to the serving bowl and top with toasted sesame seeds if desired. Enjoy! And that’s a wrap. 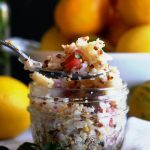 What are some of your favorite light spring recipes? We would love to hear from you. Vegan food has never looked so good! I could seriously eat my weight in those dumplings and "rice". 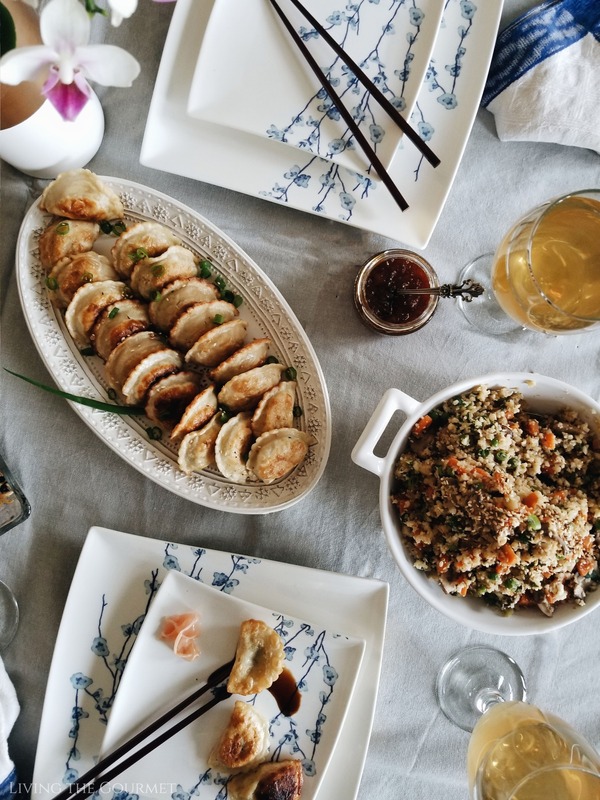 wow both dumplings and cauliflower rice look so droolworthy! that sauce sounds incredible! Love dumplings. I am a true meat lover at heart, and am not a fan of vegan food. Which is hard given the current trends. I am a believer is healthy eating, I'm all about whole foods and vegetables. But I also believe in moderation to keep a healthy lifestyle. i.e. i don't eat BBQ at every meal, but love to indulge every so often. this is something i will surely try at home. my boys are now experimenting on food and what a nice way to introduce to them the cauliflower rice. I love eating clean (that doesn't mean I am a vegetarian though, I do enjoy meat), and cook everything from scratch. 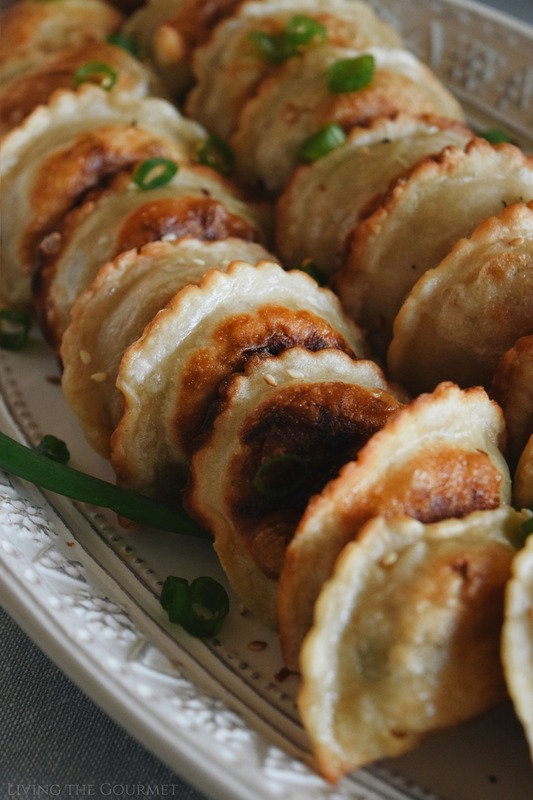 I would love to know how to make dumplings, the easy way. I have tried making bbq sweet pork buns one time and whilst they turned out delicious, I slaved over them for 5 hours in the kitchen. wow those are some beautiful looking dumplings....and they are vegan?! I want these right now! Wow, the dumpling looks so pretty and ready to eat and it saves time to make the skin or folding them. 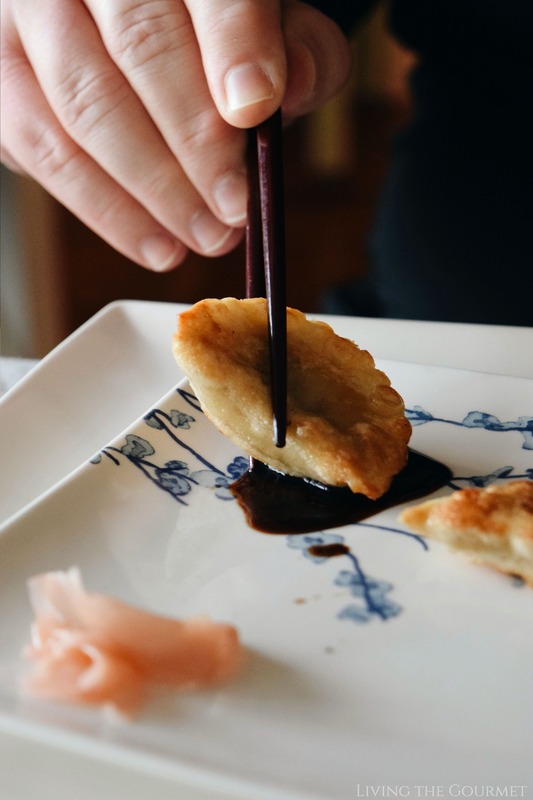 As you know folding a dumpling may require some skills to perfect them. I love to dip my dumpling with some vinegar and soya sauce. 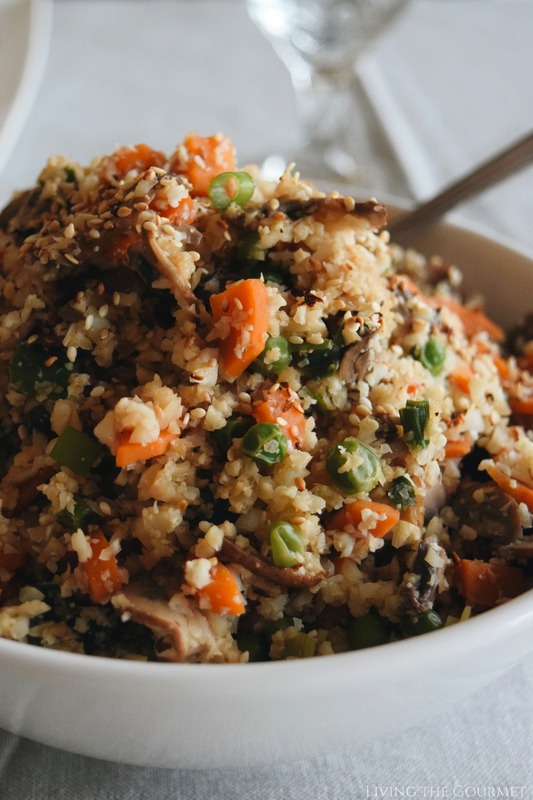 I've heard of cauliflower rice but cauliflower fried rice would be a delicious change from rice. The vegan dumplings look delicious too! Thanks for sharing this recipe with us! Who said that eating vegan is eating without taste? Yummy! This looks like such a delicious dish. I really like cauliflower rice, should definitely have it more often. Yummyyy! this made me so hungry! Might try it some day! 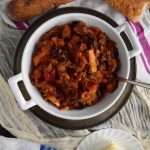 This looks delicious and would make a nice light midweek meal. Thanks for sharing the recipe with us! 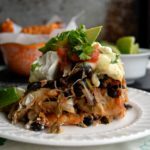 The more vegan dishes I see the more I want to try them. 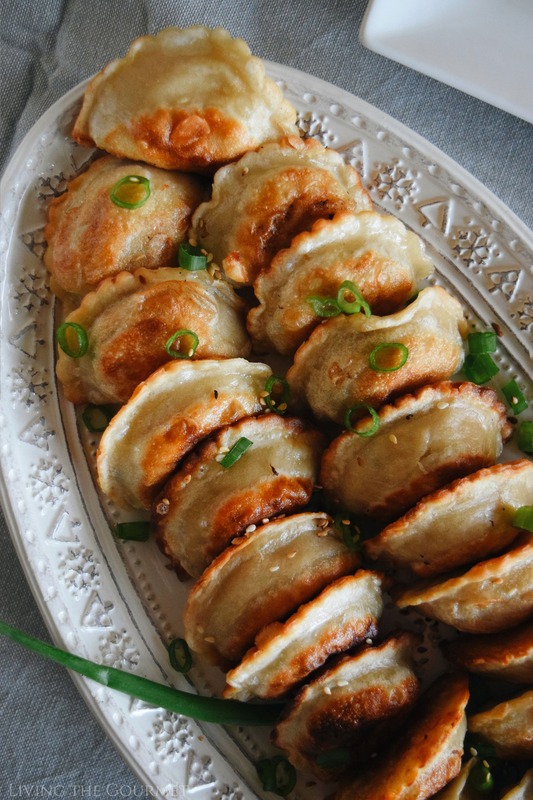 These dumplings look so delicious, as does the cauliflower rice. It's so possible to eat healthy and still delicious too. 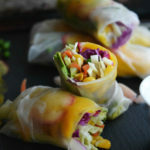 This is an amazing option for Meatless Mondays, I love it! and those dumplings look so good! Since I stopped eating meat, I've really missed dumplings! I'm going to have to try these, for sure! This looks nice and simple to put together but so delicious! Perfect for a weekend breakfast treat! These look like a delicious treat! I bet they tasted amazing! 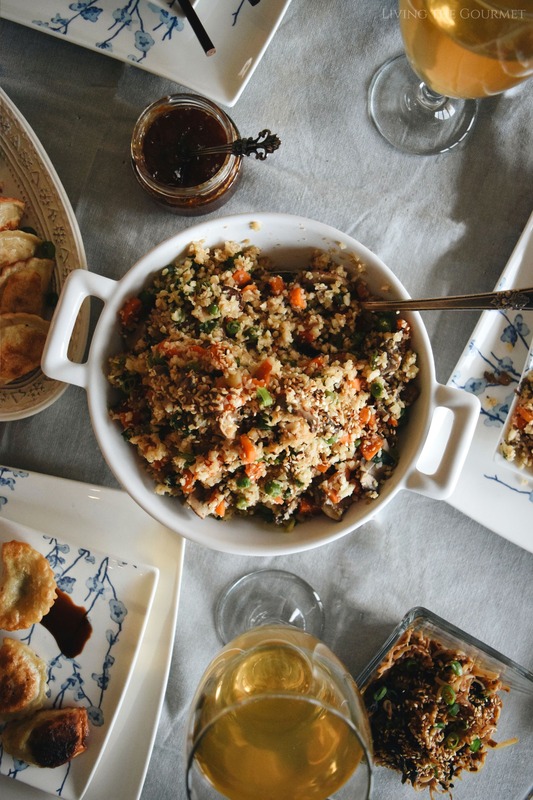 We already tried the cauliflower fried rice and it was a success in our house. My son likes it so much. The Thai Basil Vegetable dumplings sounds really delicious. One can’t go wrong with this dumpling and fried rice. I still relish the taste of the last time I savored it. This looks perfect meal for our day swimming. Those dumplings look really yummy and delicious. I am not vegan but this food looks super tasty. I had no idea that nasoya was making it. So looking for these yummies on my next grocery visit.